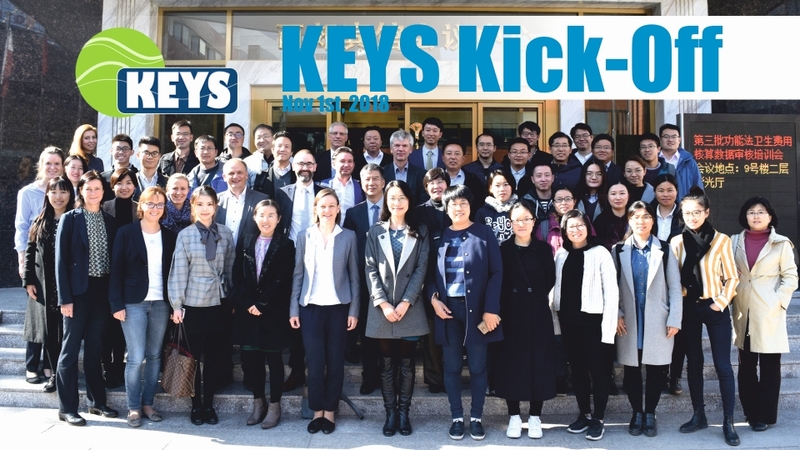 On Nov 1st and 2nd, 2018 the KEYS Kick-Off was held in Beijing. On September 10th, 2018 the national KEYS Kick-Off took place in Hannover. The entire KEYS consortium is pleased about the start of the project on 1.8.2018. KEYS stands for Smart Technologies for Sustainable Water Management in urban Catchments as Key Contribution to Sponge Cities. KEYS addresses the topic of Sponge City and is the German contribution to the Chinese Mega Water Project "Sponge City Tongzhou", which is being implemented by Tsinghua University and numerous further partners in Beijing. In the context of Research for Sustainability (German FONA Programme), KEYS is an expression of the continuation of the successful technical-scientific cooperation between China and Germany in the field of urban water management. The project is implemented in close cooperation with the School of Environment at Tsinghua University and strengthens the scientific ties. The strong network of science and industry as well as the local demonstrations make a significant contribution to ensuring that young scientists have the opportunity to obtain qualifications and that the participating companies can further improve their market access in China.